Give them what they want! 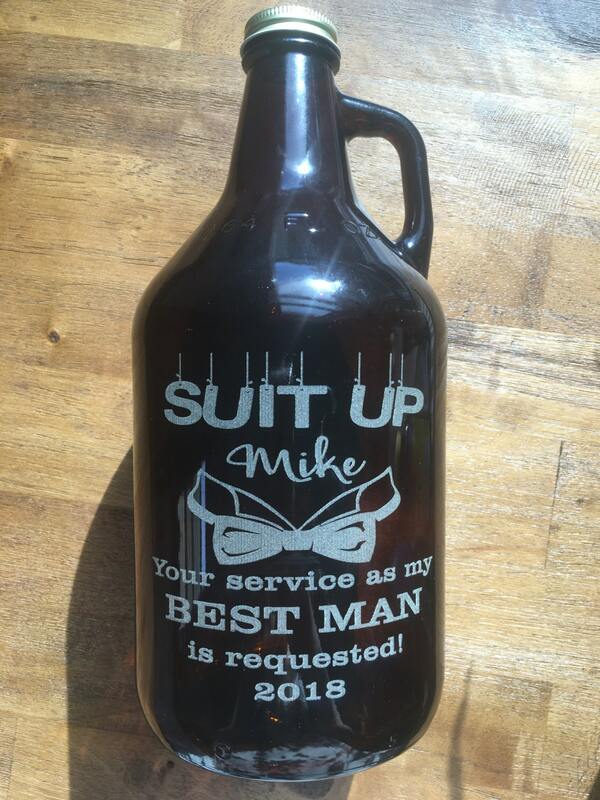 The gift of brew in their very own custom beer growler. 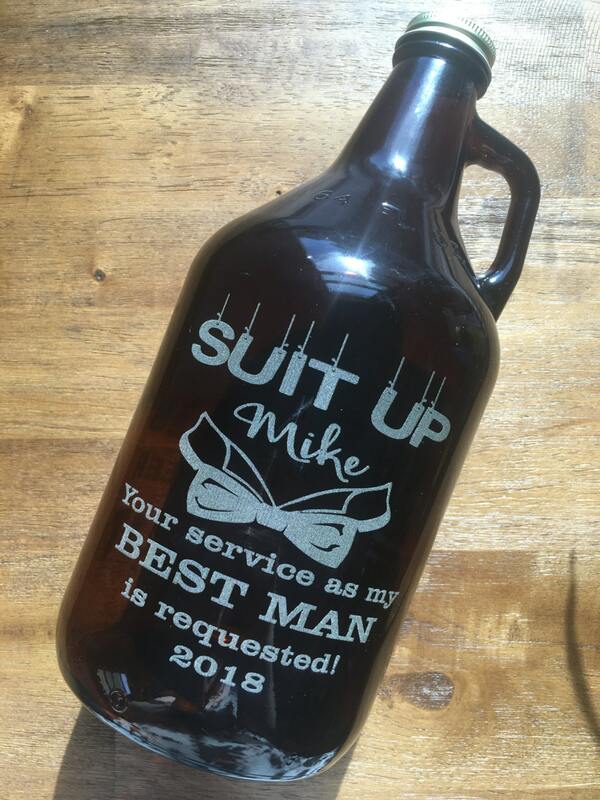 From the drop down menu choose from Clear or Amber for your growlers. 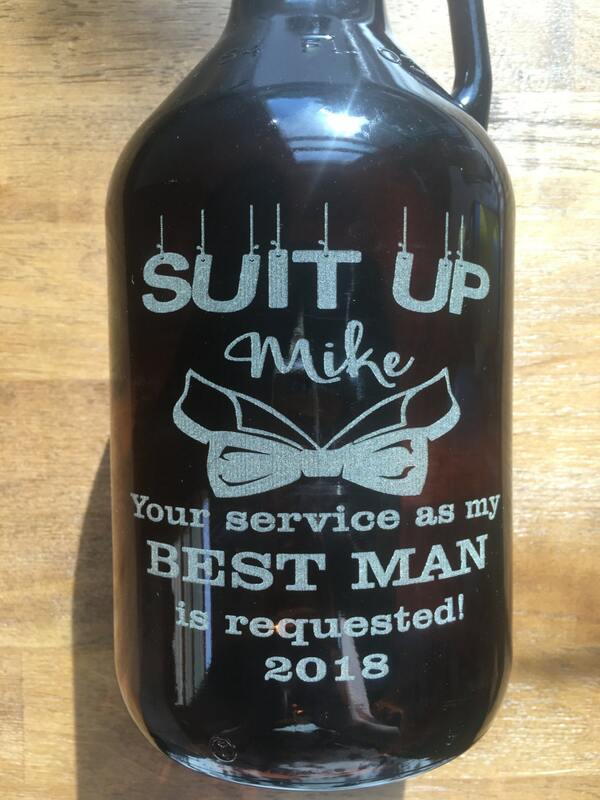 In notes at checkout indicate the names for each growler along with their titles and the wedding year. 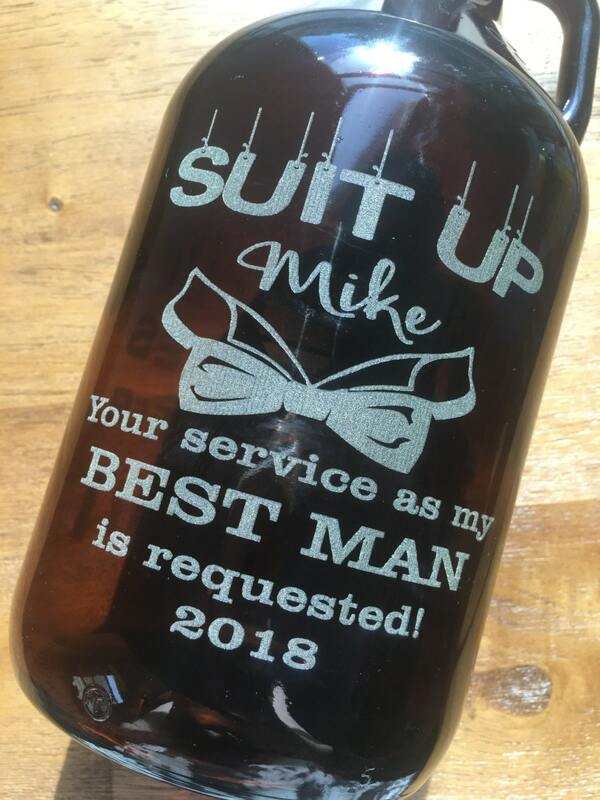 If you need your growlers sooner than the usual 2/3 week turn around time, indicate your need by date in notes at checkout as well.